Arthur Frommer is buying back his namesake guidebook brand from Google. 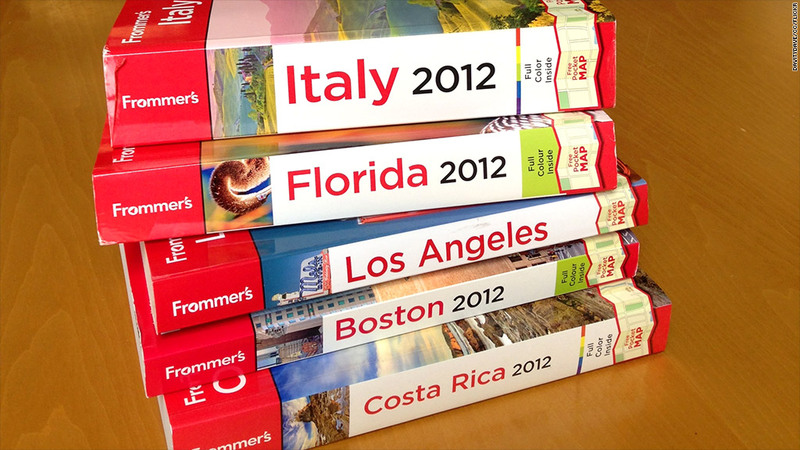 Print isn't dead, at least when it comes to Frommer's travel guidebooks. Founder Arthur Frommer has bought his brand name back from Google, and he plans to continue publishing the printed guides. Google (GOOG) bought the Frommer's brand from publisher John Wiley & Sons (JWA) in August 2012. Last month, travel website Skift.com reported that Google was planning to shutter all Frommer's-branded books, telling some writers of upcoming titles that their books wouldn't go to print. Google did not confirm those rumors. Arthur Frommer's buy-back of his namesake brand, however, guarantees publishing will begin again. Google confirmed via email that "we have returned the Frommer's brand to its founder and are licensing certain travel content to him." The company did not comment on specifics about that licensing deal. Frommer's, founded in 1957, has changed hands several times over the decades. Simon & Schuster bought the brand in 1977, and it shuffled through a handful of publishers before landing at John Wiley & Sons in 2001. Wiley said in March 2012 that it would sell off several of its publishing assets in a bid to re-focus the company, and Google bought Frommer's five months later. The Frommer's purchase was one of Google's many moves to strengthen its travel and local search products. In 2011, Google bought reviews behemoth Zagat for an undisclosed amount. Five days later, the company launched Google Flight Search.